(16825, Harry Truax Collection, OHS). Hinton is located in the upper northeastern part of Caddo County four miles south of Interstate 40. The town is situated at the intersection of U.S. Highway 281/State Highway 8 and State Highway 37. One mile south of the community is the spectacular Red Rock Canyon State Park. The town was founded in 1902 by the Hinton Townsite Company, a representative of the Chicago, Rock Island and Pacific Railway. The 160-acre plot on which Hinton developed was drawn by H. J. Fay and John G. Hedgecock in the 1901 land lottery. Incorporated in 1906, the town prospered in an economy derived from the surrounding agricultural community. Located on the branch rail line built between Bridgeport and Anadarko, the town enjoyed easy access to larger markets. Within twenty years of its founding, Hinton had an ice plant, two cotton gins, three elevators, a flour mill, stockyards, and four cream and egg stations, among various other services. In 1931 the Kiwanis sponsored a rodeo in Hinton, an annual event that continued into the twenty-first century. In the mid-1960s the community benefited from the construction of a $100,000 cotton gin and a new processing unit for the Hinton Peanut Company, as well as a sizable nursing home. More recently, the construction of a prison and an eighteen-hole golf course have bolstered the local economy. Hinton also derives some economic benefit from nearby Red Rock Canyon State Park. The fourth-largest community in Caddo County, Hinton had a population of 686 in 1910, a jump of 154 persons from the 1907 tally of 532. Continuing to expand, the number of residents rose to 744 in 1920. 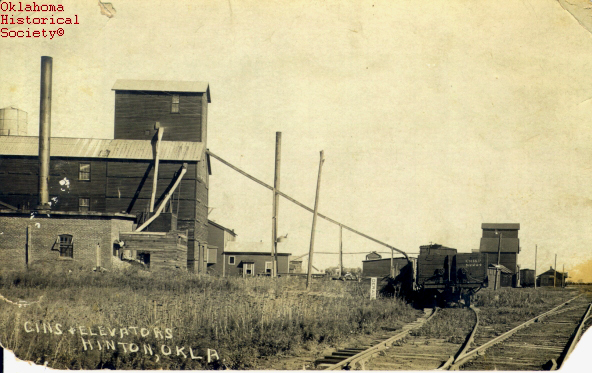 Hinton's population topped the thousand mark by 1930, coming in at 1,009. However, the trying years of the 1930s returned the population to 842 in 1940. Booming once again, the community reached 1,025 in 1950 before once again declining to 907 by 1960. The number of citizens continued to fall over the next decade, reaching a twenty-year low of 889 in 1970. The population surged to 1,432 residents in 1980 but by 1990 fell slightly to 1,233 before sharply increasing to 2,175 in 2000. It rose to 3,196 in 2010. 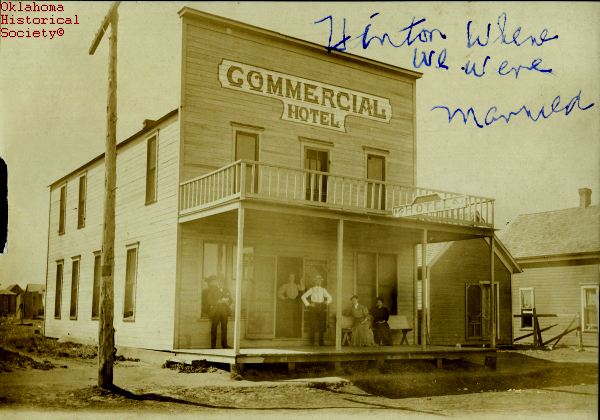 The Hinton Record began publication in 1904 and continues to be the community's news source. The other newspapers published in Hinton were the Hinton Record and Lookeba Light, the Hinton Hustler, the Hinton Record, Bridgeport News and Lookeba Light, and the Hinton News. The town operates under the mayor-council form of government. "Hinton," Vertical File, Research Division, Oklahoma Historical Society, Oklahoma City. Marie Main Wornstaff, A History of and the Progress of Hinton, Oklahoma, 1902–1962 (Weatherford, Okla.: Weatherford Press, 1962). Cynthia Savage, "Hinton," The Encyclopedia of Oklahoma History and Culture, https://www.okhistory.org/publications/enc/entry.php?entry=HI012.